In September Koru architect Issi was pleased to be invited to exhibit our innovative zero-carbon PassivPod at the Clean Tech Investment Forum event, run by Carbon Trust. They put together a brochure to introduce the businesses exhibiting at the exclusive event. 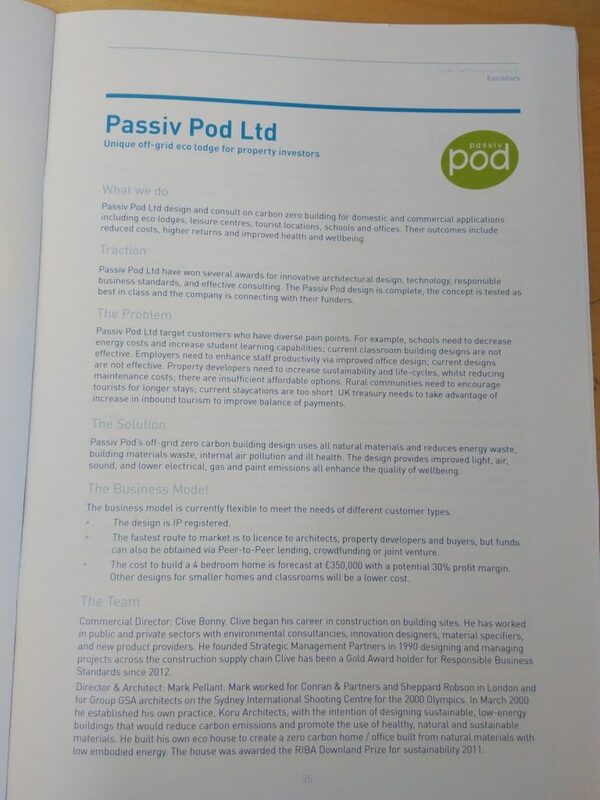 You can learn more about the event here and find out more about PassivPod on our new dedicated website.